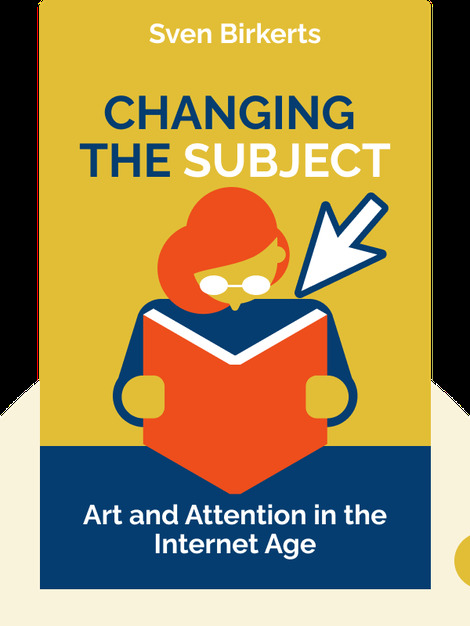 Changing the Subject (2015) takes a critical and concerned look at how the internet is affecting our lives. In these blinks, you’ll find out how our constant connection to the digital world is causing us to lose our individuality, our attention span and our intellect. Are we headed for one giant hive mind, or can we put down our phones for a moment and reconnect with our own emotions? 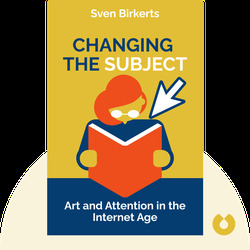 Sven Birkets is an essayist, literary critic and champion of the importance of reading. He is the author of many books, including The Gutenberg Elegies, published in 1994, which issued an early warning about how technology could adversely affect our reading habits.